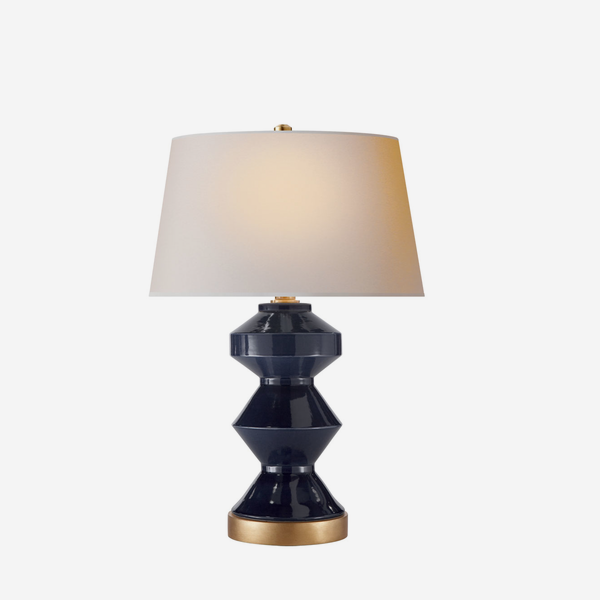 A characterful table lamp with a zig zag outline, antique brass fixings and a natural paper shade. Weller, in denim blue, is smart and sophisticated. 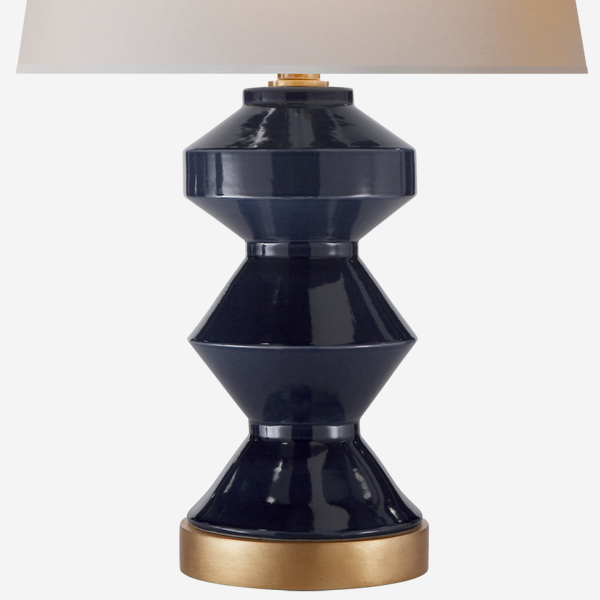 Designed by lighting icon E.F. Chapman, it adds easy decoration to a hallway console table or bedroom side table.